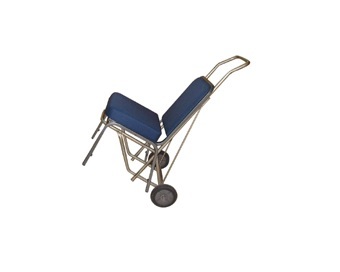 Works with chairs with a seat width of greater than 15"
This durable chrome chair dolly makes moving and storing theModel 300 chairs very easy. Q: About how many chairs can fit on this storage cart? Fast Shipping: Orders for the OFM 300-Dolly generally leave the warehouse within 1-2 business days.